want to drive my 964 snow go away and melt already and rain come to wash the salt away. Location: Altamonte Springs, Fl/Gwynns Island, Va.
yea me to. I had to put the top up on mine to drive it last weekend! I don't know how you guys put up with it! 365 days a year here, including over the little bit of ice we had the other day. Road crews think rock salt is for making ice cream, so no worries there. Been a nasty snow covered & salty winter but this week in the 50's and 60's here in the northeast. I'll be taking a sick day....cough...or two. +1.64. Car is off-site making the wait even worse. +2 - I finished my 30K mile service last Saturday and had the engine running for 30 minutes to top off the oil. It was very tempting to take the car out for a long spin. Looking forward to spring. I couldn't resist one more jab after driving home from work late this afternoon in 74 degree weather. 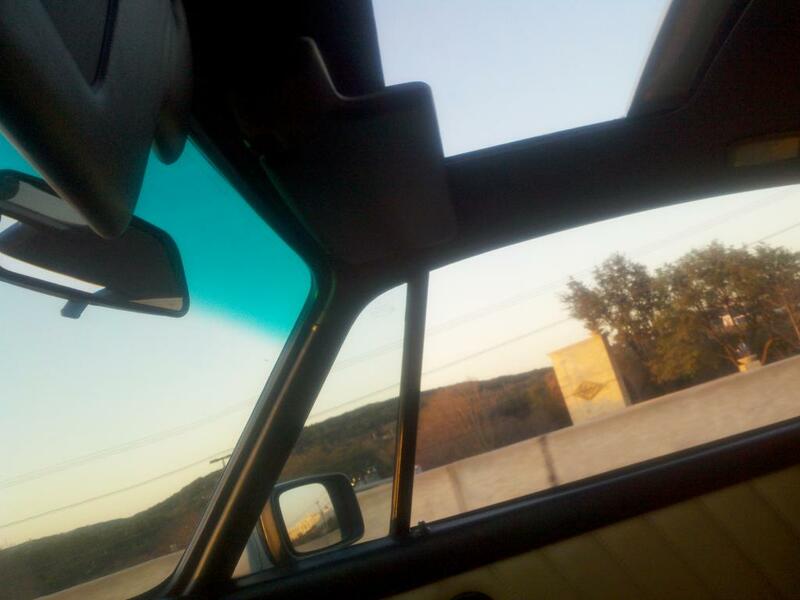 Sunroof open and windows down. Hope your snow melts soon. Not a 964, but the snow tires are finally going back on the C4S for trip #10 of the season to the slopes tomorrow. I had to push mine back into the garage last night after a photo session. Got to get mine on a charger/tender. Maybe treat it to a new battery this spring. lol keep rubbing it in thanks alot guys!! Oh yea. I forgot about August. The Parade was in San Antonio about 12 years ago. I signed up for the golf tournament and they paired me with a husband/wife and another genleman, all from Toronto. It was 99 and they faded fast. I was just getting loosened up. The last few holes they weren't thinking much about golf and started looking for the bar.